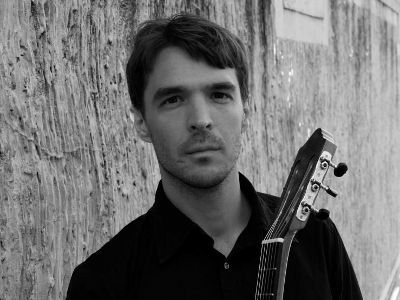 Danijel Kralj, born in 1979 in Rijeka, Croatia, received his first guitar lesson at the age of 14 from Professor Mario Simunovic. He continued his guitar studies at the Konservatorium Wien, known today as the Konservatorium Wien Privatuniversität, in the class of Susanna Löffler. Also, at the same time he was studying instrumental guitar pedagogy, majoring in popular music with Michael Langer. In June 2008 he was awarded a “Konzertfach” Diploma. Then in 2011 he completed a Master’s Degree in guitar in the class of Jorgos Panetsos, receiving the highest grade for his exam and majoring in guitar chamber music. During this time he also took part in various master classes with: David Russell, Manuel Barrueco, Altenberg Trio, Fabio Zanon, L.A. Guitar Quartet, Zoran Dukic, Hopkinson Smith and others. In Vienna, where Danijel is based, he has had appearances in the prestigious halls of the Musikverein, Konzerthaus, Ehrbarsaal, Theater am Spittelberg, Kosmostheater and Museumsquartier to name but a few. In 2011 he was performing in Forum Gitarre Wien festival. Furthermore, Danijel has performed in venues throughout Croatia, Germany, Austria, Slovakia, Switzerland and Mexico. The guitar of preference for his concerts is a guitar which Danijel hand-built himself. © Copyright 2019 danijelkralj.com - All rights reserved.